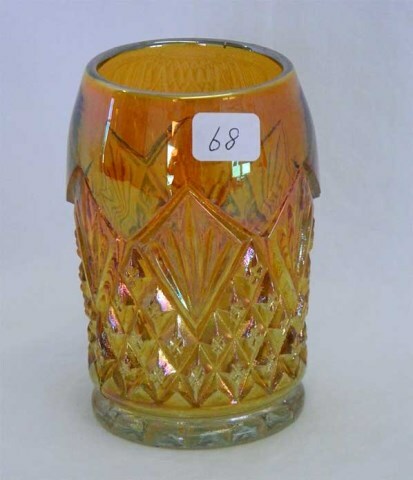 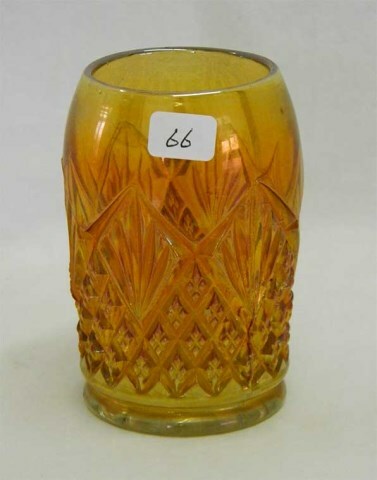 This is the only carnival tumbler pattern known in which the mouth is narrower than the base. 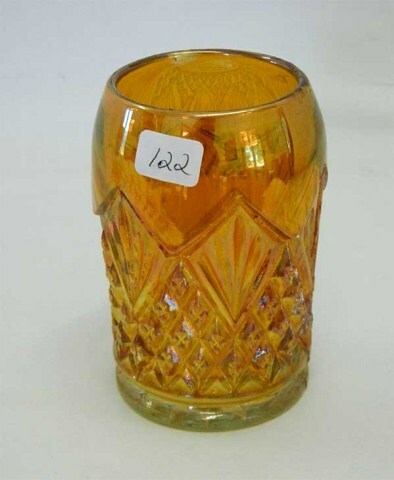 It is marked with a C-M trademark that stands for the Mexican glass maker. 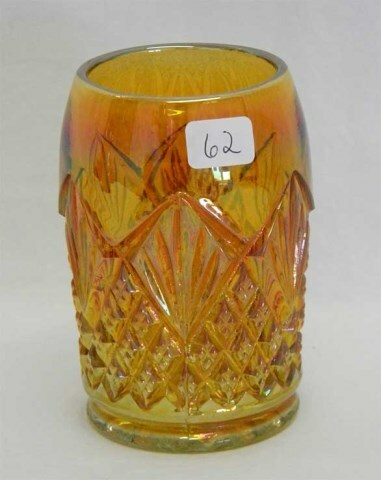 This one is courtesy of Carl and Eunice Booker. 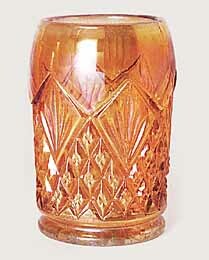 A similar one sold in 1998 for $355 and a wine decanter in the pattern sold for $600 in 1993. 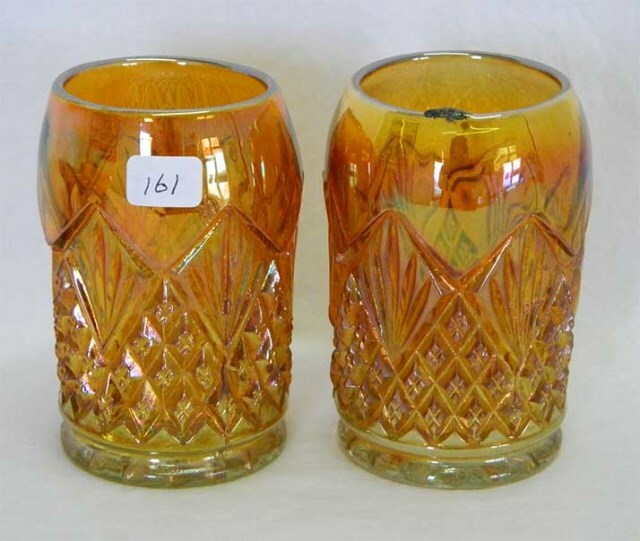 In 2014, two tumblers sold for $130 and $200.